Épinal is the main town of the Department of the Vosges situated on the River Moselle. 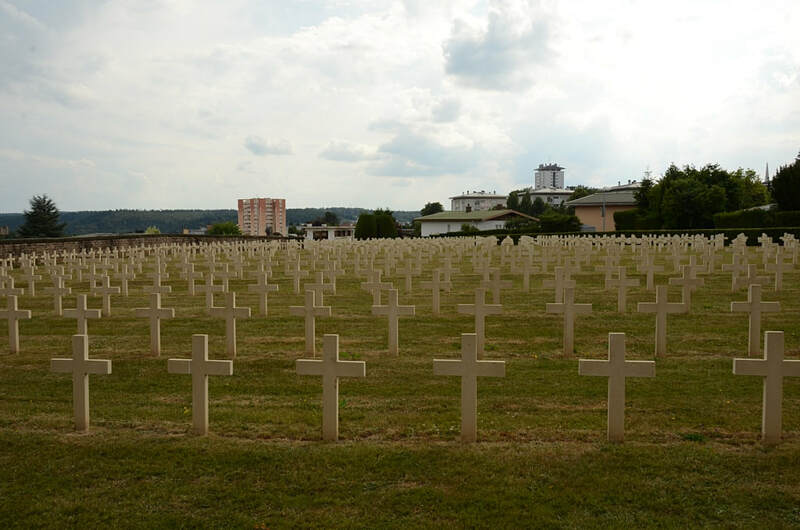 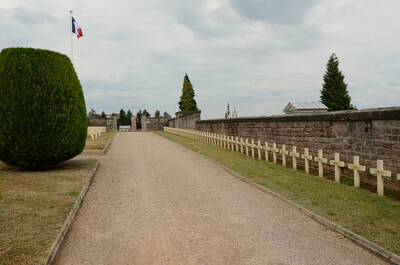 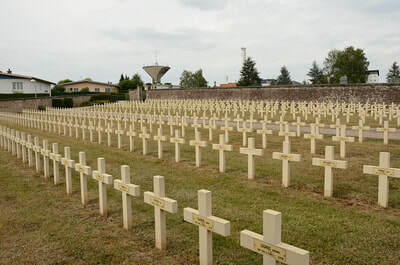 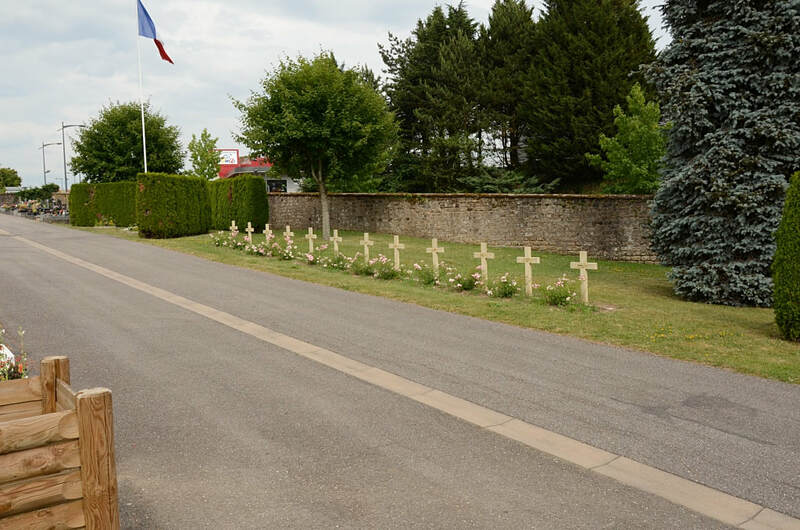 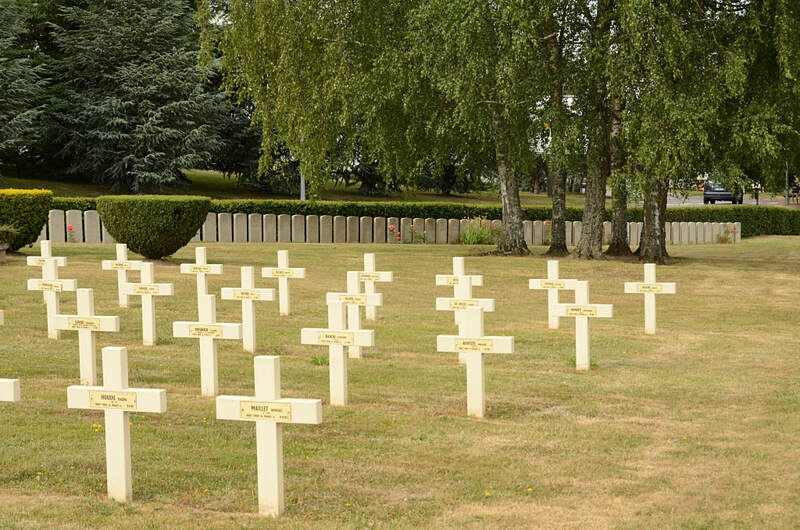 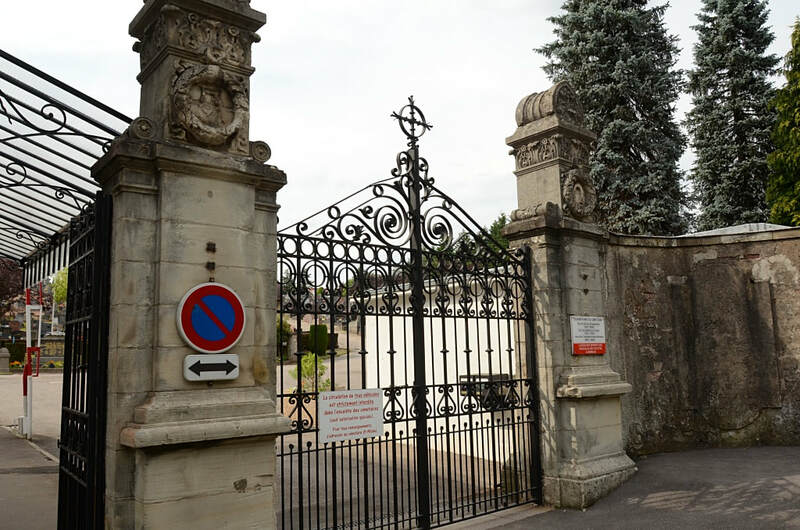 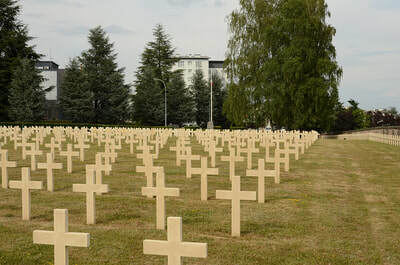 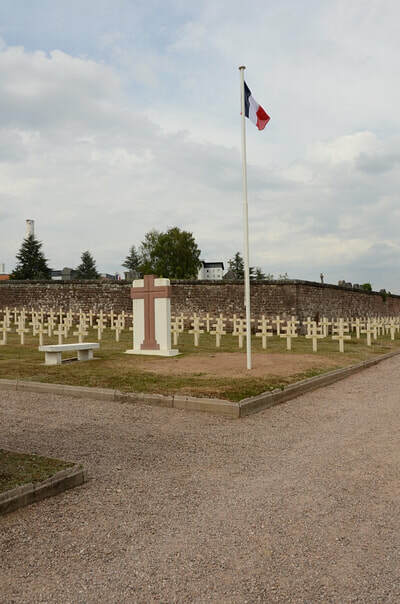 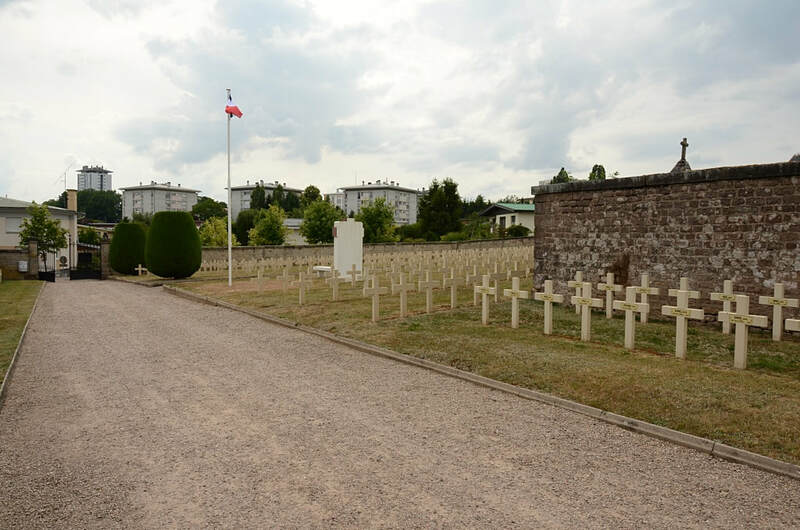 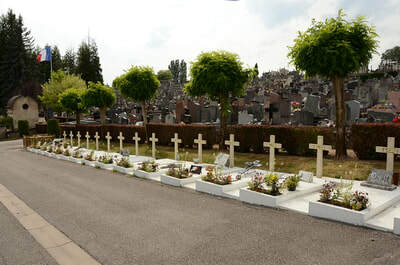 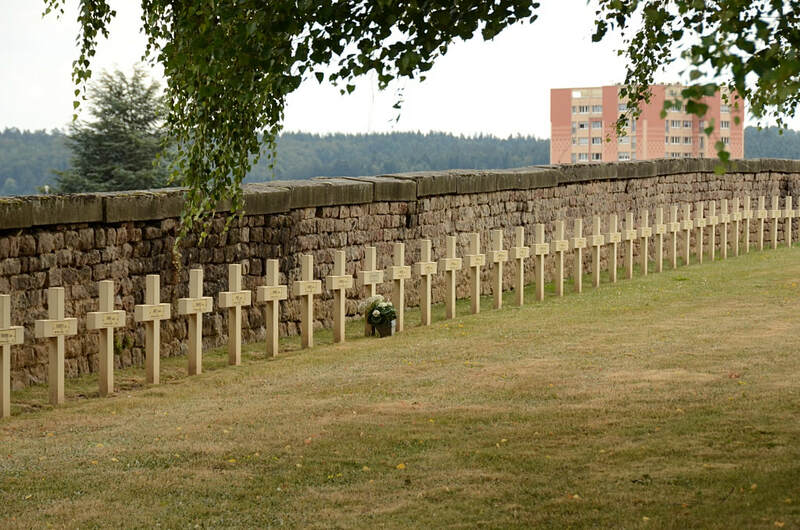 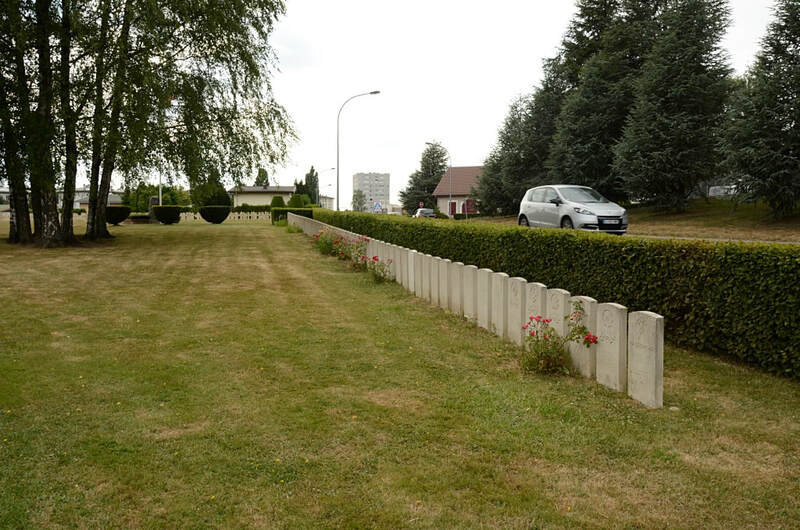 Épinal French National Cemetery lies behind the town cemetery of St Michael, which is on the eastern outskirts of the town on the north side from Épinal to St Die. During the 1939-1945 War a large Prisoner of War Camp was established by the Germans at Épinal. 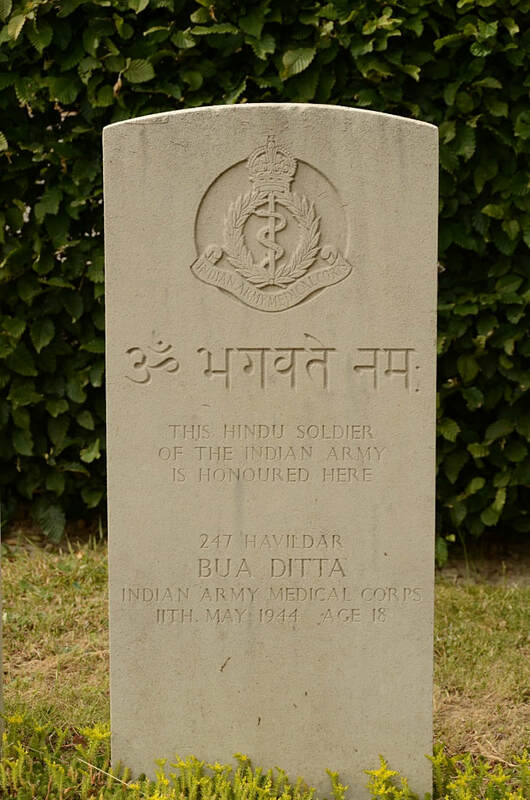 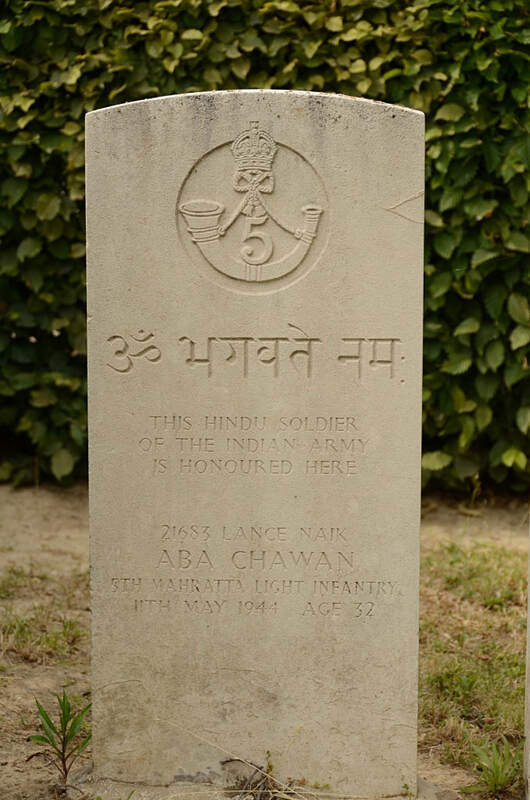 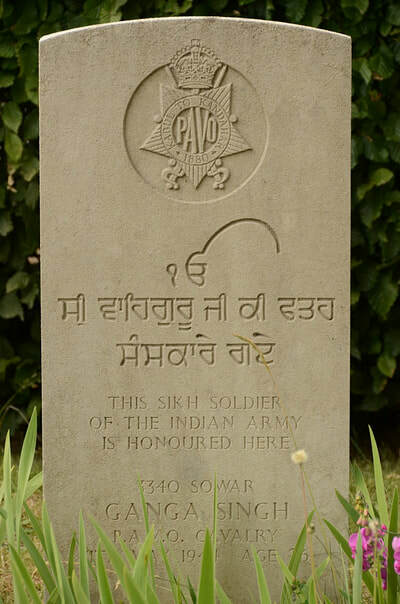 This camp was used primarily for the containment of Indian Army soldiers. 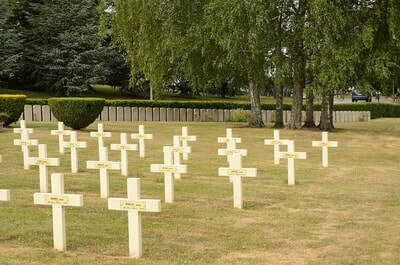 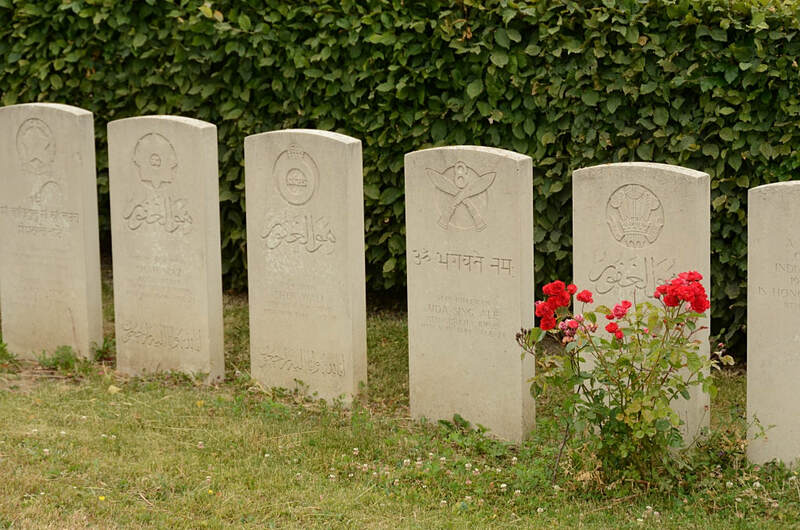 On the 11th May 1944, the camp was inadvertantly bombed by allied aircraft resulting in 64 casualties. These deaths make up the bulk of the commonwealth burials in this site. There are now over 70, 1939-45 war casualties commemorated in this site. 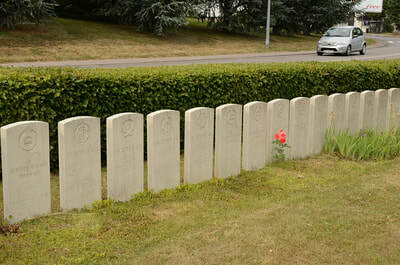 Of these, nearly one-fifth are unidentified.